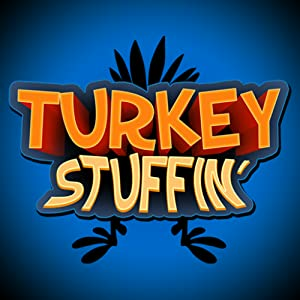 Get the Free Amazon App of the Day - Turkey Stuffin' . Simply download the game and install it on your Android Device for free. As you drag the food into the turkey's mouth he gains weight and makes sounds. Depending on what you feed him you may get an accomplished recipe card achievement. That's it, you mastered the game in about 15 seconds. The faster you shove items into the turkey's face, the more he gains and makes sounds and the more weight he gains.